We have all your windows and doors sorted. We design, build and install double glazing, conservatories and bi-folding doors, making them durable, stylish and attractive. With years of industry knowledge and experience, all our work is carried out safely and to the highest professional standards. Whether you want patio doors to gain easy access to your garden or a conservatory for extra living space, we are the experts and complete all our jobs to without the need for pushy salesmen and you are guaranteed a price to suit your budget. Call us today to find out more. Our experts will gladly pay you a visit and take a look at your Sheffield property to assist you to decide what type of windows and doors will best suit your home and lifestyle. 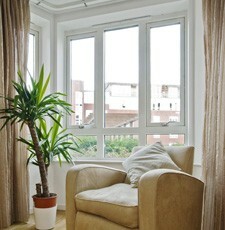 For all your uPVC windows and doors at a really great price, why not call our Sheffield office for free on 0800 011 4195.